I'd like to use my second 2018 nomination for Kabobi in Albany Park, which I feel definitely deserves a GNR. Over the course of several months and several dining experiences there, I came around from merely liking this place to believing that it's truly special, and loving it. Aside from the deliciousness of their food, the main reason for this is the quality and care with which they cook their meats. And, if you look at the main thread, you'll see a virtual consensus on this aspect of the place. This care is exceptional, all-too-rare and what -- more than anything else -- makes Kabobi special. In a town where there are innumerable entrants in the category, Kabobi stands out in a way that makes it the standard bearer. As a somewhat relevant aside, my nomination demonstrates the perils of forming an opinion about a place after just a single visit. I'm fortunate that I moved nearby and that I have friends who visit frequently. It was over the course of time that I continued to eat here, even though it wasn't always on my radar, or my first choice. And over those visits and delivery experiences (yes, even delivery experiences! ), Kabobi became the go-to. It wasn't that I'd ever had a bad experience. It was more a case of taking the positive experiences for granted. But when a place serves properly-prepared, delicious food over and over again, it begins to take root in one's mind as a different sort of place. And that's when mere appreciation transforms into something greater. In my mind, it leveled up to the highest category: the sure thing. And it's not just the meats that they do so well. Their impossibly smooth hummus is delectable. The tender and herbaceous dill rice is excellent. Vegetarian Okra has become a requisite part of our order. Pickles, sauces and soups are all top-notch, too. These are also posted on the main thread but just as a reminder, here are a couple of shots from a meal I enjoyed there earlier this year . . . Ever since Da Beef started the discussion, it's been almost entirely favorable (save for a bemusing digression about parsimonious sauce allocation). I, even in my initial luke-warmness, was quick to note how well cooked the food was. What I didn't realize at that time is what a constant that attribute would turn out to be and how much it would contribute to my feeling that Kabobi is indeed a truly special place, and a worthy GNR if there ever was one. ronnie_suburban wrote: Kabobi is indeed a truly special place, and a worthy GNR if there ever was one. Agree 100%, Kabobi is a terrific GNR nomination, Count me a Fan! Last edited by G Wiv on March 20th, 2018, 1:43 am, edited 1 time in total. I'm so glad you nominated Kabobi. I gave serious thought to nominating it myself. 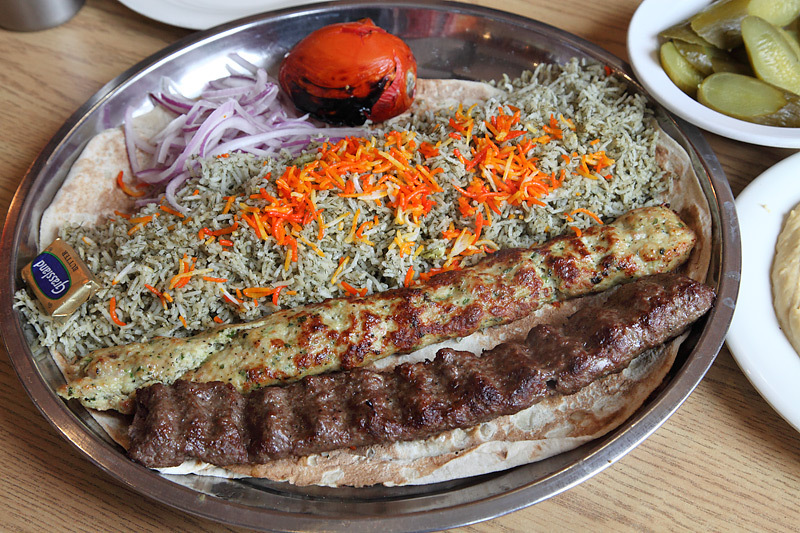 Whether eating in, or getting delivery, Kabobi never disappoints. Kabobi for LTHForum GNR, count me a fan! Have never eaten in the restaurant but Kabobi is in our regular delivery rotation. Everything here is prepared with care. They pay attention to the details. From preparation to presentation, seasoning, temperature @ delivery, etc.. they have been consistently, reliably delicious. Love & support this nomination. Beyond the food that edges vintage non-banquet Reza's, the atmosphere is something special - warm room open late, often pastry service, lingering over tea; a shade of Cafe Zimmerman and just about as cross-cultural. I also think the competition is making Noon O Kebab better, but Kabobi is Shah. 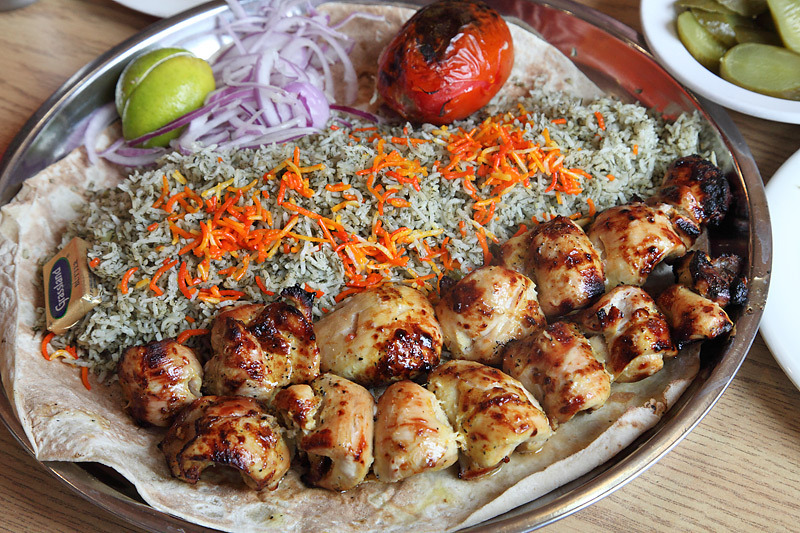 It was Pigmon who introduced me to Kabobi and he told me get their chicken, now I tend to head for lamb or beef at Persian restaurants as chicken is often overcooked, but on his recommendation I tried the chicken kabob and found it perfectly cooked, juicy and well seasoned. I've since tried a lot of the menu and found they're excellent in most of what they do, like Ronnie thought I think I take for granted what they do so well. They make wonderful food with consistency and I find myself returning over, this is what a GNR should be.